You may think creating a professional online broadcast event must be expensive. Maybe you have the preconception that in order to give your audience a great experience you must invest thousands in broadcasting equipment like cameras, microphones, lighting and an editing station, never mind the broadcast fees. If you have a compelling story to tell, there shouldn't be anything keeping you from getting it out there and reaching a global audience. In this case study, we will show you step-by-step how DealMatrix used Samba Live to create a truly international conference with a tech budget of under €500. We made a short video for you to give you a super-close look behind the scenes. Twice a year, DealMatrix organises the Global Pitch competition. From 100s of applications, 15 finalists are selected to present their start-ups to around 50 investors, during a half-day of live pitching. The challenge is that the applications are not limited by geography, quite the contrary, the diversity of nations is encouraged, and it is not uncommon to have finalists and investors from 4 to 5 continents. Organising a global live event spanning almost all 38 timezones has huge logistical challenges, so it was important to select a technical partner that allowed reliable broadcasts no matter what the bandwidth bottlenecks might be. With startups connecting from far-out regions such as Australia, India, Europe, South Africa and Brazil great bandwidth was not always guaranteed and the broadcasting solution would have to to create a level playing field that allowed competitors to get their 4-minute pitches across in all their splendour. For maximum impact, each start-up presented with video and a previously uploaded slide deck. This allowed speakers to transmit their emotion and enthusiasm for their projects and give investors a great idea of who they will be investing in. 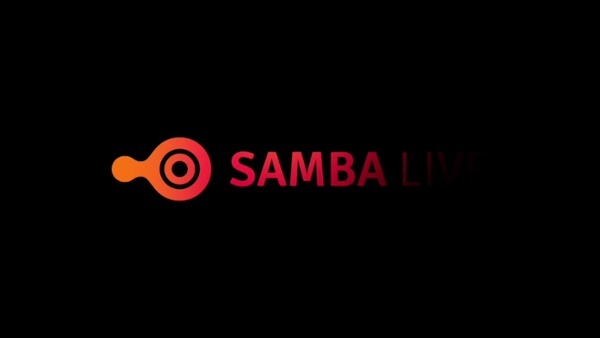 In order to reach an even broader audience and generate awareness for the Deal Matrix investment portfolio management solution, the event was broadcast on the Global Pitch Facebook page using Samba Live's Live Streaming feature without any 3rd party software or additional staff members to manage the Facebook Live Stream. Check out one of the live stream recordings, as it happened, directly on Facebook. "Overall this set-up could cost you around €500." - Juan Guerra, Skills of Life. The webcam and the audio interface, were connected to the laptop through USB. Samba Live was instructed to use the Rode input and not the built-in microphone from the webcam or the computer via the settings panel. Similarly, the Logitech webcam was selected. It is crucial to use a headset, for a conversation between the speakers, so that you can listen and interact without creating an audio feedback loop through the microphone. The overall cost for the equipment was around 500 Euro (excluding the already existing laptops). Four laptops were used - one by the host, one by the director and two by the back-office. The final touch was a nice backdrop and a well-lit scene. 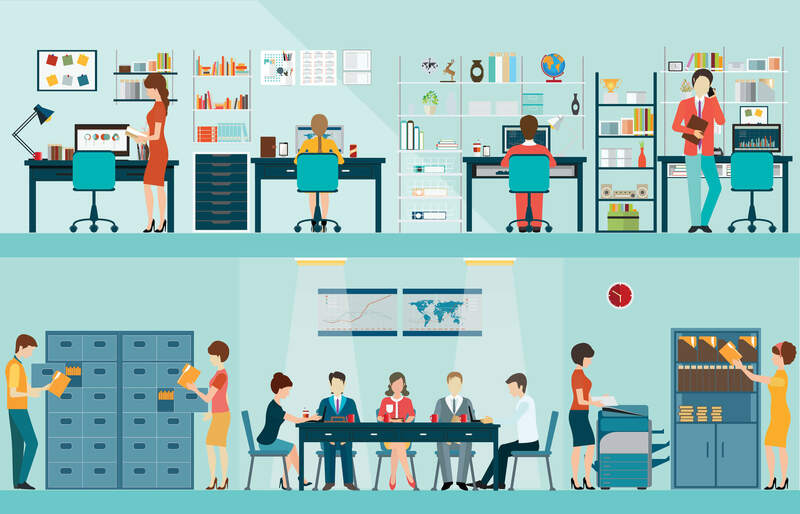 In the case of Global Pitch, there was access to a studio in the office building, you may find something similar in a co-working space near you. The host was lit up with two, indirect diffuse lights - a basic set up. 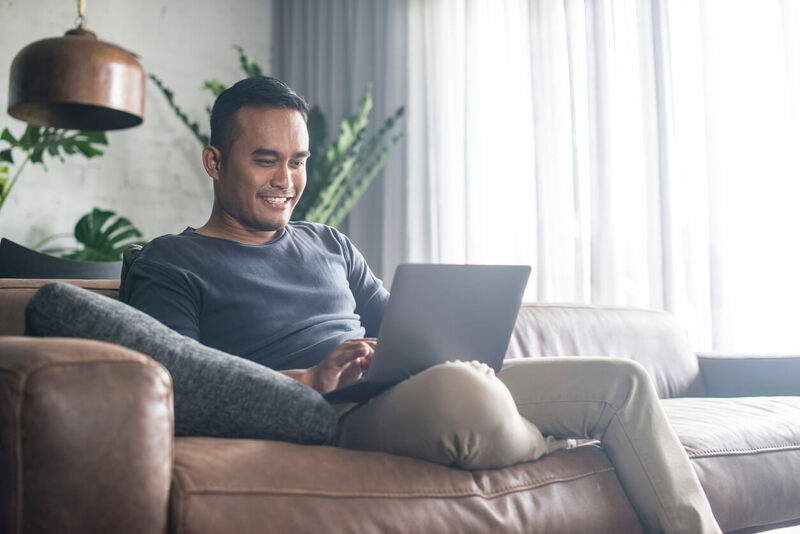 Great lighting will always give a much crisper picture - in particular since video conferences are highly encoded to ensure great performance with minimal bandwidth usage. This is especially apparent in low lighting and can lead to poor contrast, a grainy picture and compression artifacts. As a backdrop, some simple stand-ups will do, or you can get something printed for 100-200 Euros. If you can't get your hands on anything, keep it single colour to avoid distracting from the speaker. The event was hosted by the professional presenter, Juan Guerra. Just like a great anchorman carries a news broadcast, having a dedicated speaker, with good camera presence, will do wonders for your broadcast. Not only will he or she provide a continuous thread and theme to lead your audience through, but you can also use their personality in pre- and post-event promotion. Global Pitch created a series of teasers a few days before the online broadcast and followed up the next day with an announcement of the winners - all of which increased brand loyalty and brought viewers back to their social media pages. Next to the host, three team members were involved in the run-up and during the live event. All of them were connected via laptops, with WiFi, and wore headphones to monitor the event without interfering with the speaker's broadcast. Katherina Skripnik, Global Pitch product manager made sure the event went as smoothly as it did. As the producer, she was in charge of pre-event planning and preparation of a detailed script which meant everyone knew where they had to be and when. 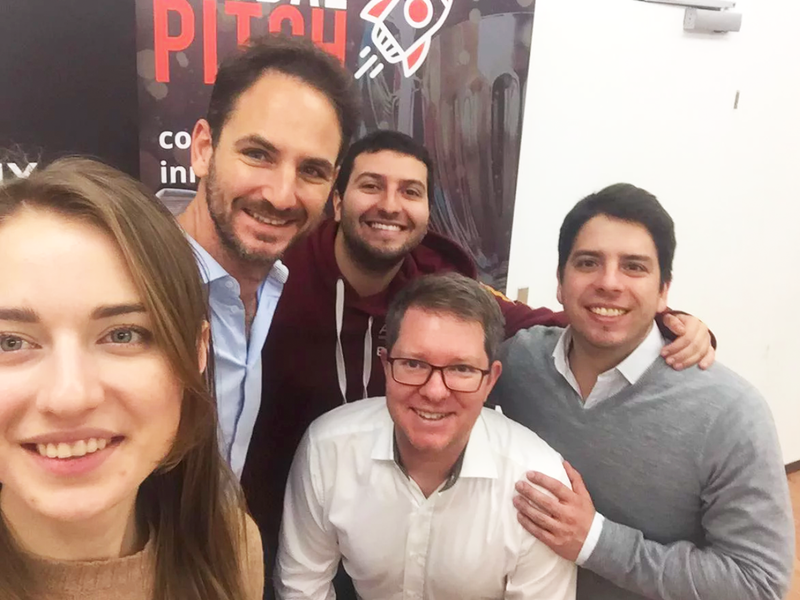 With her assistant producer Joela, she made sure that everyone stuck to their cues, and that the startups' presentations were pre-loaded into the Samba Live system - ready to go when it was their turn to pitch. Katherina and Joela coordinated the start-ups using a WhatsApp group during the event, even when they were not connected to Samba Live. In order to ensure that everything would go smoothly on the day, Katherina tested and practiced Samba Live with every start-up individually, making sure they were briefed on using proper lighting, headsets, a quality camera and good uplink. 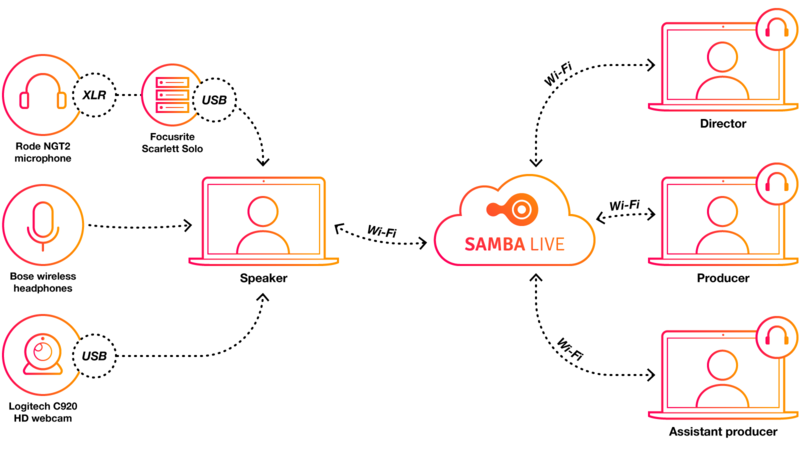 For some of the more remote start-ups, Samba Live's low bandwidth mode was used to ensure they could broadcast smoothly even in low bandwidth scenarios. 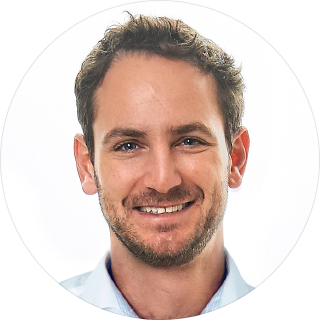 The director, Robert Strobl of Digital Samba, was in charge of ensuring everything was running as expected and starting and stopping the Facebook live stream for each of the three pitch sessions. The event lasted a total of 4 hours; 3 sessions of pitches, an intro and outro, with short coffee breaks between each. The 50 jury members cast their votes via the DealMatrix deal management platform and three winners were announced the next day on the Global Pitch Facebook page. We hope this article inspired you to run your own online event. Let us know if we can be of assistance, at Samba Live we are always excited to help people communicate and do their best work. 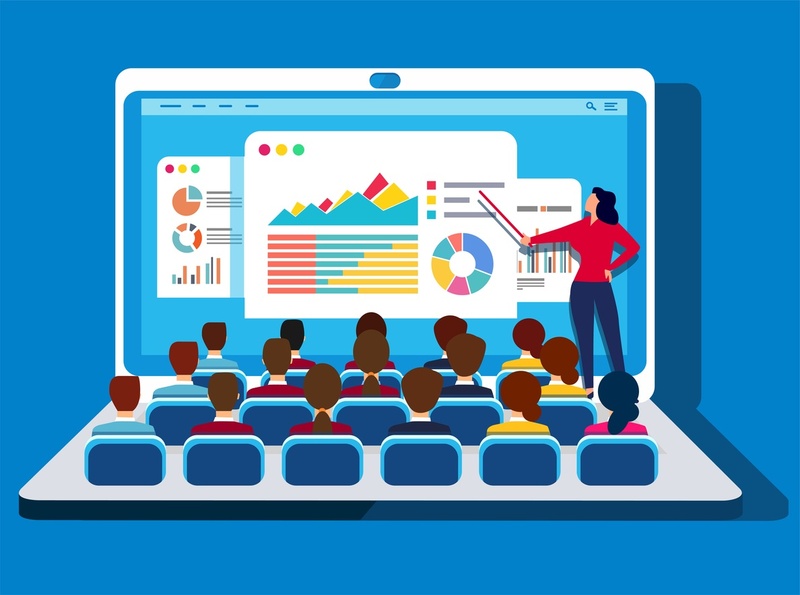 ← Webinar vs. Webcast - what are they and when should you use them?